Developing public improvements and streetscape upgrades. 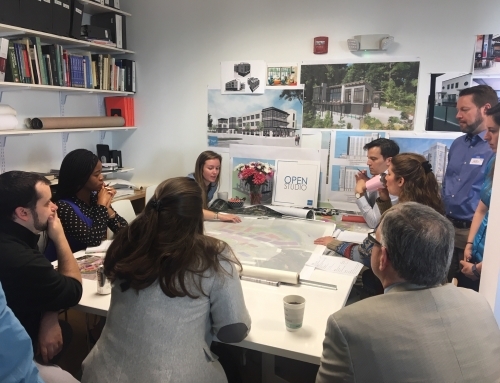 Demonstrating a path forward for the existing downtown Academic Village, analyzing student demand for expansion and amenities, and recommending appropriate size and locations for these student-centered needs. Creating a vision to reinforce and magnify Kingsport’s downtown role as the economic and cultural heart of the community. As part of an ongoing community initiative known as OneKingsport. Building consensus among different groups including, but not limited to, property owners, business owners, public agencies, City advisory groups, Chamber of Commerce, local students, educational institutions, and residents. Becoming an official policy document of the City to facilitate the direction, type, location, and scale of new development and associated downtown improvements for the next ten years. If you live in Kingsport or want to follow the project’s progress, visit the project website. The project’s Kick-off Workshop will be held next week, Thursday, October 19 at the Kingsport Center for Higher Education (see website for more details and other public input opportunities). Kingsport was developed by European Americans after the American Revolutionary War, at the confluence of the North and South Forks of the Holston River. During the American Civil War, the Battle of Kingsport, where Confederates and Union forces fought, ended with a Confederate surrender and resulted in the city losing its charter. In 1917, the city was re-charted and became an early example of a garden city, designed by John Nolen, a city planner and landscape architect out of Cambridge, Massachusetts. The plan organized the city into areas of commerce, churches, housing, and industry, and included some of the earliest traffic circles in the United States. Kingsport still carries the nickname, the Model City, due to Nolen’s distinctive plan.